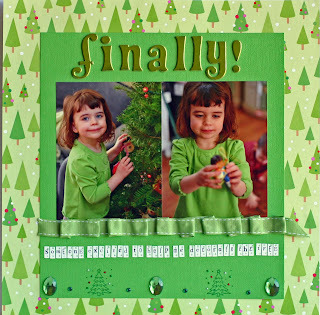 Today's challenge at ScrapTiffany is a color challenge and the color is GREEN. I love the color green. In fact blue and green are my favorite colors. I love their soothing and organic nature. There are millions of photos I could've scrapped with the color green, but the easiest were some tree trimming pictures I took last year. I had dressed Little Miss all in green for the trip to pick out the tree and she wore the same outfit for the trimming so using these photos for this challenge was a no-brainer. The theme of this layout is that now that she is into the tree trimming, I finally have someone enthusiastically helping me. 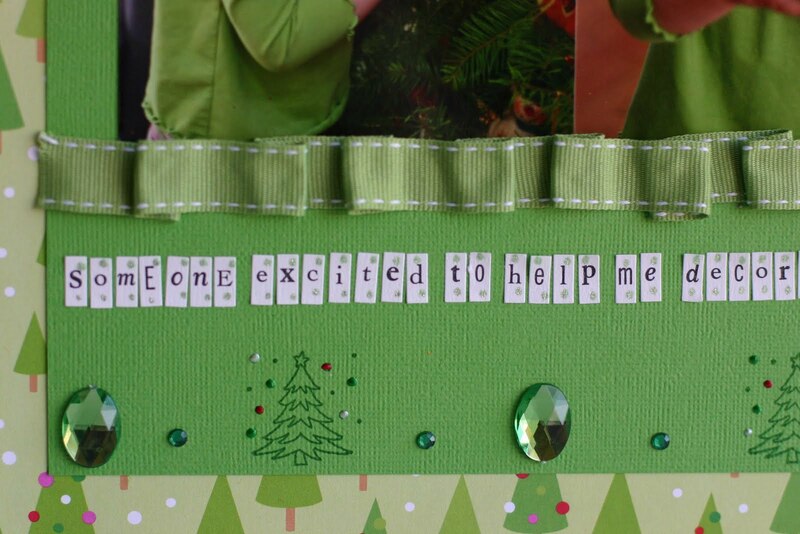 Head over to ScrapTiffany and check out the other green layouts. And if you take the challenge be sure to email it to Tiffany. Awesome LO Rebecca!!!!! And what a cutie that girl of yours is! 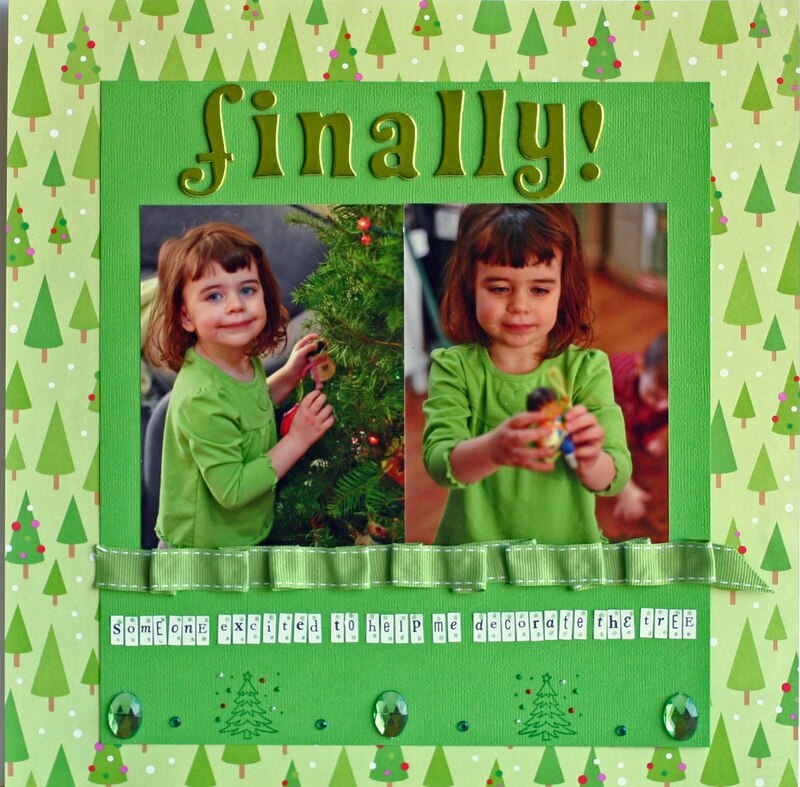 Love the ribbon on that LO and I cannot WAIT to see that advent calendar! LOVE all that green! I got one of those advent calendars to do, too, though I haven't even started on mine. I guess it will be for next year, huh? I can't wait to see yours. 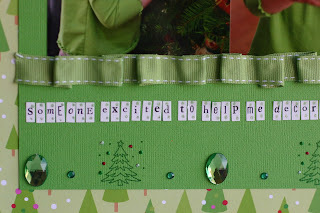 Can't wait to see what you did with your advent calender, I just posted mine, Great layout love the ribbon folding!